This is a sequel to THE WAR OF THE STARS: A NEW HOPE GRINDHOUSED, released in 2010. The goal is now to mix “The Empire Strikes Back” and “Return of the Jedi” while taking care of the changes made for the first edit. A lot of deleted scenes are also back in this edit. Some hopefully intertaining twists and more than 90 new special effects turn this project into something that I think is special even if maybe not as “fun” as the first edit. Or fun in another kind of way. (This is not a “grindhoused” version, although some of the deleted scenes are looking old and the main sources used are from the Original Theatrical Cuts released in poor quality in 2006 as a “bonus” to the special edition DVD). With the incredible praise following the release of the first edit (thank you all! ), a lot of people asked for a sequel. But I already made my “silent Star Wars” before and I thought that it was enough Star Wars for meand so I made various edits of other movies for a while, and I’m glad I did that. But the question was brought back each time I finished a new edit: “Will your next one will be Empire Strikes Back grindhoused?" At one point I thought about making a “VHS style” version of ESB but I did not have many ideas back then. Then, the Bluray box set of Star Wars was released with a lot of deleted scenes and I thought that an edit mixing ESB and ROTJ along with those deleted scenes would be great. But I also wanted to keep a “Star Warsy” length. Meaning not much more than 2hrs 20mins max. So a lot had to be cut. It was an interesting challenge and I also thought the “grindhouse aspect" had to go. But to really make a sequel to my edit, a lot more work was needed. The fanedit where I used special effects the most was ALIEN-ATE, my version of Alien 4; 18 effects, and it was tiresome to do. 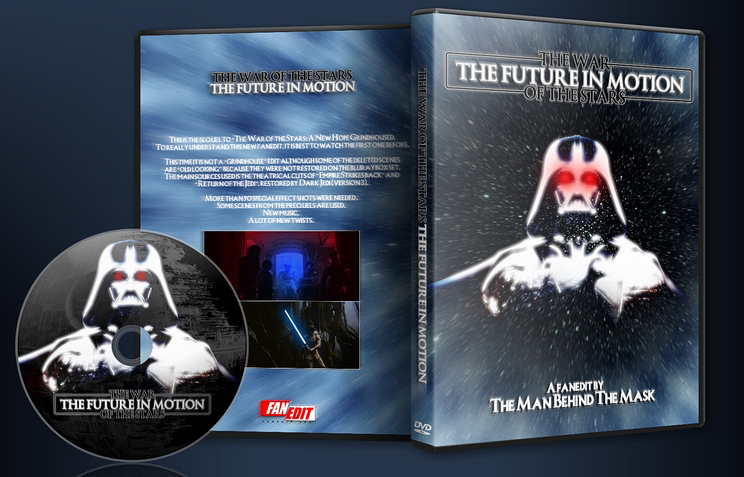 “The Future in Motion” has more than 90 special effects… I started with a few in mind, then the number could not stop to grow and grow! Now, I’m proud on most of them, they are not all 100% amazing but for an edit that is not supposed to be “better” but more an “alternate take”, I think they are good. and also I used a theme from War Horse, by John Williams. Few shots (special effect changed) from koyaanisqatsi and Avatar. - Subtitles french, english, german. Movie + the 10 minutes slideshow bonus. Main original source used: the Theatrical cuts of ESB and ROTJ from the official 2006 bonus DVD releases. The version I use in my edit are from a “restored” version made by Dark Jedi (he made several versions, this is his version3). truer to what I remember when watching Star Wars for the first time and I somehow wanted to have a little nostalgia feeling for this edit. There are too many cuts to make a real cutlist. But I would say that most of the edit is from “Empire Strikes back” and the last 30 minutes or so are from “Return of the Jedi”. But there are scenes from ROTJ reorganized to appear during the events of ESB. Some short shots used from other movies, and most of the time changed with new special effects or heavily color corrected. Shots from two fan films: IMPS the relentless Chapter 2, and Boba Fett Chronicles The Hunt for Varrada. 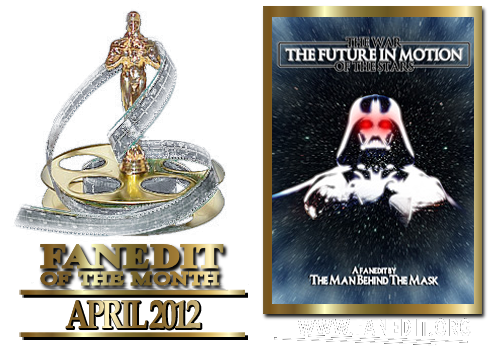 The War of the Stars II - The Future in Motion FULL FANEDIT from TMBTM on Vimeo. War of the Stars II is a worthy sequel to TMBTM's hilarious first edition. It has hilarious twists and turns, shockingly funny special effects sequences, and some hilarious dialogue. 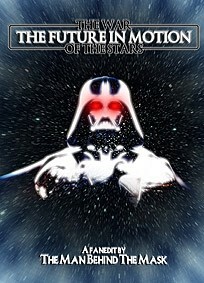 If you haven't seen the first War of the Stars, watch it first then come see this, they will be both worth your while. This time around, TMBTM opted not to go for the grindhouse look for this movie, but deleted/alternate footage is much easier to spot due to the sudden drop in video quality, this of course is not the editor's fault, but still is a little bothersome. The audio also seems quite choppy when it comes to dialogue battling the musical score. Overview - Fuse the strongest of the original trilogy with the weakest, redraw Luke’s character so he now carries Anakin’s bad seed, alter Vader’s character, juice the mojo for Fett, those are just elements of an exceptional edit. Video - Quality choices top to bottom. Now, I KNEW when an alteration was made, but my reaction was always Ooh or Whoa. War Of The Stars is an genuine alternative, not a nip n tuck edit, the flow twists in unexpected directions. The editing was seamless, which I appreciated more during repeat viewings. Audio - Great sound. Loved the musical alterations (Planets repeated perhaps once too often). Aside from that, again there are countless modifications and the audio editing is demonstration time. Narrative - The first two thirds of War Of The Stars is inspired. Changes in story structure, character behaviour, Luke’s peccadillo, Darth’s red-eyed fury. Fun times. Jedi is what it is, though TMBTM minimized the Ewoks, brutally truncated all threads (in the best way), slammed the action. Jedi roared past and I did not cringe once. That is a feat. I have mixed feelings about this one. The opening sequence was brilliant and I was fully prepared to love this one more than the first. The first forty five minutes are gold. After that it kind of meanders. I was disappointed to see the ewoks. The very end redeems it though and is pretty ingenious. Overall it's amazing how the editor was able to use the resources available and take the story where he did. I didn't watch the first part yet, so I came to this fully fresh and unprepared. The first half and a little bit more of this edit are brimming with creativity and I was quite flashed by it, the second half is more like the original until the end that is, where Luke turned to the evil side. I think that end is awesome in a sense of "What if"-scenario, in fact I would have made it even more evil by preventing the rebels from blowing up the death star and being completely destroyed. That is a pure evil end, that I made a few months ago for my edit, but then got the creeps and changed it back to a good ending. But in this edit it would have worked nicely. TMBTM has amazing special-effect-skills: How he turned the emperor into a ghost, or the red eyes on Vader, the falling down of his ship, or making Luke enter Jabba's palace alongside Leia and many more instances of special-effects that he created for this, is simply amazing. But there was a thing I didn't like and that was how the bounty hunter died, special-effect-wise pretty good, but the explosion could have/would have waken up Jabba's palace. But that's a minor point. Also I missed Leia strangling Jabba, but that is personal preference, the narrative worked for this as is. I loved the use of the deleted scene of the sandstorm, and I liked the use of subtitling of R2D2 to bring in some humour. Like already said the second half dragged a bit, because the first half was so full of new ideas and changes, while the second half seemed to be more like the theatrical version, so that one expected more during that phase, until the great evil (that could be even more evil) end that is. I've heard that the first part was grindhoused, I think that would have helped here as well with the integration of the deleted scenes that have lots of scratches. Maybe there will be a version 2 of this to make the evil ending, even more evil, and to grindhouse this and to use a bluray-source to get the most out of it. But to redo all those special-effects would make it probably a very hard and long work, so I can understand if TMBTM don't want to endure that. I highly recommend this edit for the brimming creativity of the first half, the great new ending and the masterful use of special effects. I downgraded audio/video-quality, because on my 42"-TV the picture looked flat as it is only SD. Edit: I misunderstood something crucial about the bountyhunter and therefore amended that point in my review. Edit2: After watching "War of the stars 1", I change my opinion and welcome TMBTM's decision to do without the grindhousing-effect. Boba Fett does not roll the grenade, it is Leia. At least it's the way I wanted the audience to understand it. But it was VERY difficult to do and it's not surprising some people do not understand it. Let's say that despite the amount of work spent on this scene, it is not the moment of the edit i'm the most proud of in the end.